This is an interactive map assembled by Deutsche Bank Research quite literally packed with information. 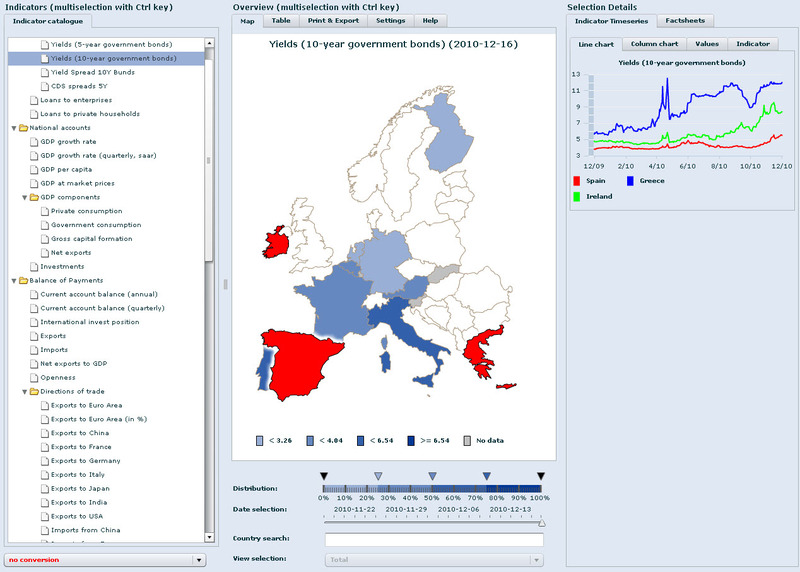 Click on the left column to select your economic indicator, followed by country on the map for specific details. Hold down the CTRL key to select multiple countries. Have been looking for a simple way to keep an eye on EU bonds and CDS data..